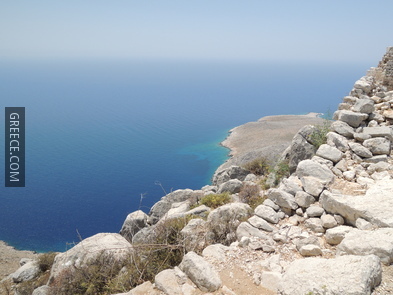 The small island of Chalki is located just a few kilometres off the coast of Rhodes. The island has a surface area of about 28km² and is inhabited by approximately 330 people. Tourism is fairly low; as a result, people lead a quiet and traditional way of living, without the hustle and bustle of crowded places. Pretty houses are scattered around the coast, fishing boats are docked at the harbor, and a backdrop of rugged mountains complete the scene. 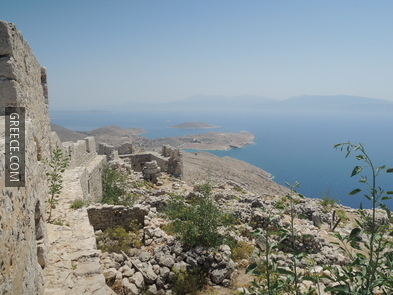 Chalki has no natural water supply and rainfall is collected in large cisterns. Drinking water is brought in from Rhodes but there can be shortages during the summer months due to increased population. 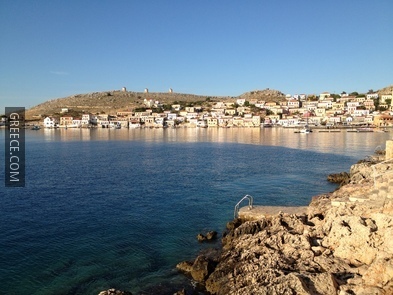 Chalki was possibly named after the copper workshops (chalkos in Greek) it had during ancient times . 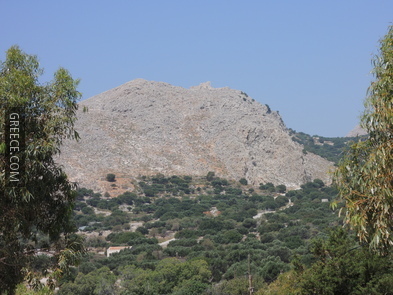 Pelasgians inhabited the island for a long time, erecting several constructions, and were followed by Carians, Dorians and Phoenicians. 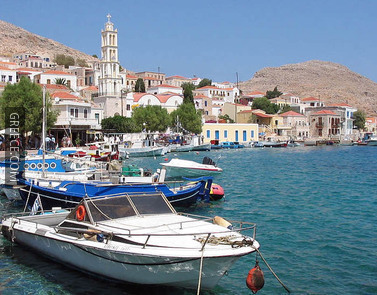 In the times of the Athenian state, Chalki, as a member of the alliance, paid taxes regularly. 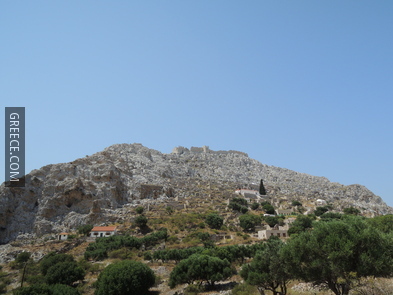 In the Peloponnesian War of 412 B.C., the island was an ally Rhodes. 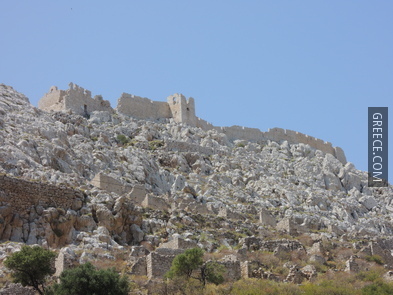 In the following centuries, it was occupied by a number of imperial powers, notably the Arabs in the 7th century A.D. and the Venetians in 1204, who constructed the medieval fortresses on the ancient acropolis in Chalki and Alimnia. 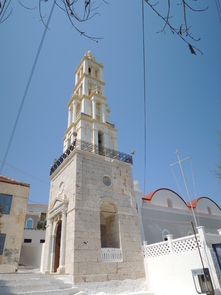 In 1523, Chalki was conquered by the Turks until the Greek War of Independence, in 1821. In Medieval and later times, the threat of pirates forced the inhabitants to settle far from the sea, on the mountains, at Horio. 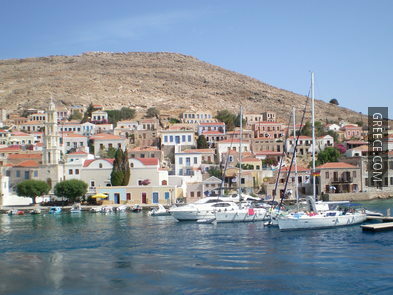 By the early 19th century, piracy had receded and most people moved towards the coast, building their houses in Emporio, the current capital of the island. However, difficulties with the local industry of sponge fishing, high taxation and diseases led to successive waves of emigration. 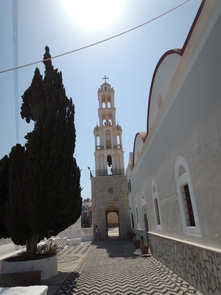 The Italians gained control of the island and the rest of Dodecanese in 1911. 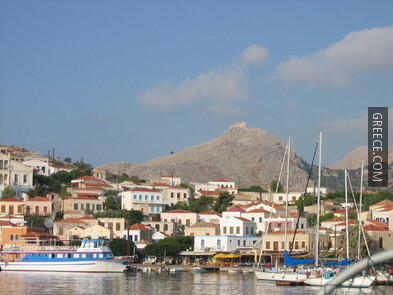 Emporio: This is the port and the only settlement of the island. 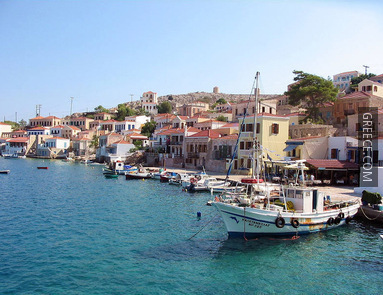 It is an attractive town with beautiful red-tiled Venetian-style houses set around a horseshoe-shaped bay. 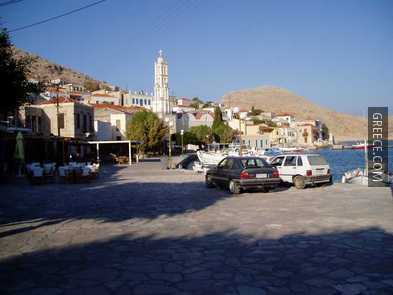 The harbour is merely 400 meters long, and a few cafes and taverns are in the area. Cars are banned near the harbour, so the Emporio waterside enjoys a tranquil motor-free setting. Pondamos: This is the only sandy beach of the island, accessible on a 10-minute walk from Emporio. The beach is organized and has calm shallow waters. Ftenagia: The beach at Ftenagia lies beyond the rocky coves just round the coast from the nearby hotel. 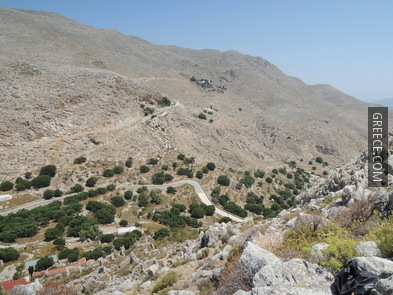 It is accessible by a rocky path, or by the high road towards the windmills. It is at least 15 minutes away on foot from the capital. The beach has pebbles and is organized. Kania: This beach is located north of Emporio, near the fish farm and it is reachable by a 25-minute walk from the town. The beach has pebbles and there are no tourist facilities. 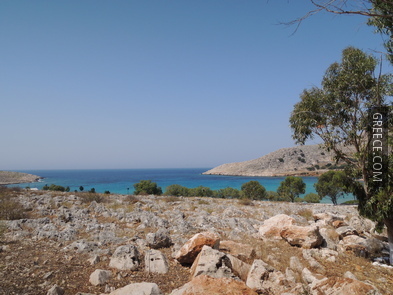 Yiali: This tiny beach is located on the south side of the island, down a winding track leading from the old village to Horio, below the Kastro. The beach has white pebbles, and the cliffs provide some shade. Yiali beach has no tourist facilities and visitors are advised to be extra careful due to strong water currents. There are more beaches on the island, but they are accessible only by taxi boat and they are unorganized. 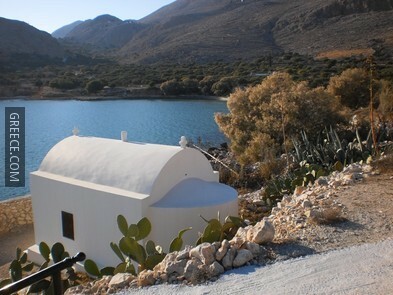 On the north side of the island, you will find the beaches of Areta, St. George and Duo Yiali. All three beaches have pebbles and are surrounded by high cliffs. These beaches should not be visited late in the season, when they are completely covered in shadow. 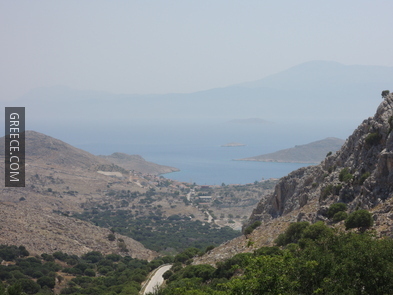 Ferry: Chalki is on the ferry route to Crete, Rhode and Piraeus. 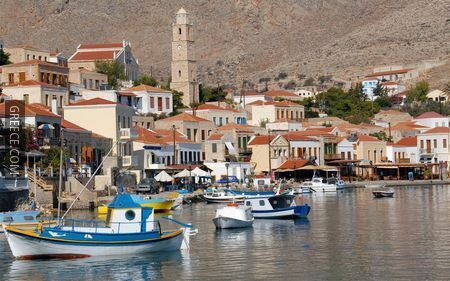 Biweekly, the island is served by the long route from Rhodes (2 hours) to Piraeus (22 hours) via Crete (7½ hours) and Milos. 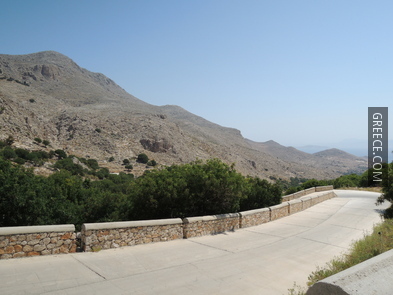 Four local services per week connect Chalki and Kamiros at Rhodes (1½ hours). 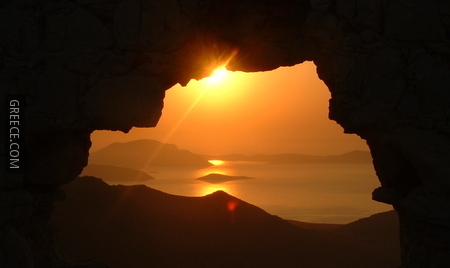 The climate of Chalki is mild Mediterranean, characterised by sunny and dry summers and mild winters. 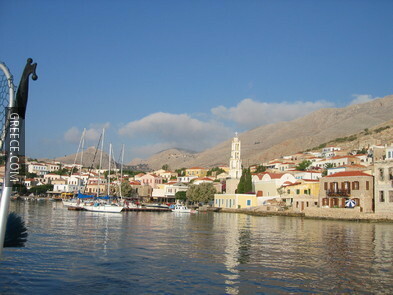 As an island, Chalki has a quite humid atmosphere and heavy precipitation during winter and autumn.